It’s a time for violent clowns, blood and gore, death, the supernatural and grisly killings to come alive! Winter is over, but there’s a chill in the air! Are you ready for the scariest two months of 2017? If you’re a horror-film buff, book your tickets now because you don’t want to miss out on the Ster-Kinekor SKarefest. 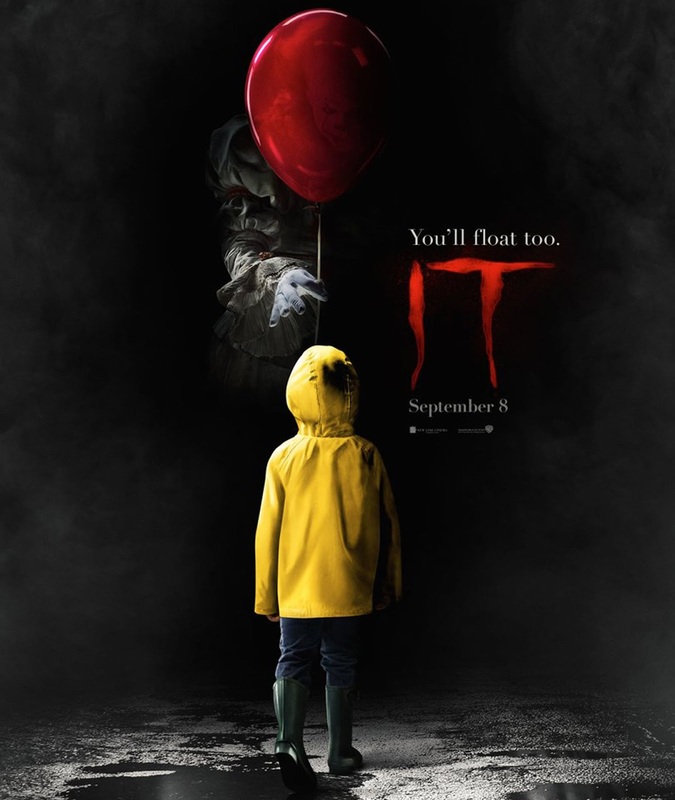 The highly-anticipated film IT launches at IMAX on 15 September, followed by the release of Tyler Perry’s Boo 2: A Madea Halloween and Happy Death Day on 20 October and Jigsaw release on 27 October. On 3 November,Flatliners and From a House on Willow Street (exclusive to Ster-Kinekor) and Mother! finishing off withAmityville: The Awakening on 10 November. This movie is not for the faint of heart but promises to be a feast for senses for lovers of horror movies. IT is based on Stephen King’s novel of the same name. The film can best be appreciated in the all immersive IMAX experience. Watch the Town of Derry, come alive where local kids are disappearing one by one, leaving behind bloody remains. In a place known as “The Barrens”, a group of seven kids are united by their horrifying and strange encounters with an evil clown named Pennywise (Bill Skarsgård). Even if you want to look away when the horror unfolds, you won’t be able to take your eyes of the screen. Madea (Tyler Perry), the gun-toting grandma is back, and this time, it’s a scary and hilarious ride all in one. Boo 2: A Madea Halloween in the sequel to last years, Boo: A Madea Halloween. Tyler Perry, who wrote and directed the film, also plays Joe and Bryan. When Bryan finds out that his daughter, Tiffany (Diamond White) is attending a party where 14 people were murdered. Madea, Joe, Aunt Bam (Cassi Davis) and Hattie (Patrice Lovely) venture to the haunted campground to bring her back home. They must literally run for their lives when monsters, goblins, and the boogeyman are unleashed. Happy Death Day is an American slasher film directed by Christopher B. Landon and written by Scott Lobdell. The story revolves around college student, Tree Gelbman (Jessica Rothe), who must relive the same day over and over again, her upcoming birthday, and figure out who attempts to kill her at her party every time and why. She is “killed” at the end of each day by a serial killer with a smiling mask obscuring his features. Immediately upon dying she wakes up again in the morning, with full memory of what she's experienced and discovers her killer's identity. Kidnappers get more than they bargained for in this claustrophobic thriller. It’s a supernatural wild ride led by the tough-as-nails Hazel (Sharni Vinson), a band of desperate criminals abduct Katherine (Carlyn Burchell), the daughter of a wealthy family, for ransom. What the gang doesn't realise is that although they have Katherine's body, her soul is already in possession of a demonic force. That terrifying force is about to turn the tables on them. What follows is carnage, rage, bloody screams that ends in a carnage. If it’s true, unfiltered terror you’re after, this is a must-see! From a House on Willow Street is written and directed by Alastair Orr. Jigsaw is the eighth instalment in the Saw franchise, picking up over a decade after the death of the John Kramer, also known as the Jigsaw Killer (Tobin Bell) during the investigation of a new succession of murders, each with a uniquely gruesome demise that fit the Jigsaw Killer’s modus operandi. Is John Kramer back from the dead to remind the world to be grateful for the gift of life? Or is this a trap set by a killer with designs of his/her own? Watch the scary pieces of the puzzle come together in this terrifying film. Jigsaw also stars Mandela Van Peebles, Laura Vandervoort and Brittany Allen. Flatliners is the sequel to the 1990 American science fiction horror film of the same name. The film follows five young medical students who attempt to conduct experiments that produce near-death experiences, giving them a first-hand account of the after-life. With each other’s help, they stop their heart and to find out what it is like to die and the after-life. When they come to, they change and strange things start to happen. Flatliners stars Ellen Page, Diego Luna, Nina Dobrev, James Norton, and Kiefer Sutherland (who starred in the original). Franck Khalfoun wrote and directed this film about a single mother, Joan (Jennifer Jason) Leigh who moves her three children Belle (Bella Thorne); her little sister Juliet (McKenna Grace) and her comatose twin brother James (Cameron Monaghan) into a new house to save money to help pay for her Jame’s expensive healthcare. When strange phenomena begin to occur in the house, including the miraculous recovery of her brother, and Belle's increasingly horrifying nightmares, Belle begins to suspect her mother isn't telling her everything. Mother! is a horror film written and directed by Darren Aronofsky. The plot follows a young woman whose tranquil life with her husband at their country home is disrupted by the arrival of a mysterious couple. A young woman's (Jennifer Lawrence) tranquil life with her husband (Javier Bardem) at their remote country home is challenged by a mysterious couple (Ed Harris and Michelle Pfeiffer) who arrive and lodge with them. As the young couple’s relationship is tested, so too will your relationship with the dark side. The Ster-Kinekor SKARE FEST will set your heart racing, and get your adrenaline pumping. If you believe that the only thing to fear is fear itself, think again! Enjoy the IMAX release of IT only at Ster-Kinekor’s seven IMAX theatres across the country, situated at Eastgate in Johannesburg, Cradlestone Mall in Krugersdorp, Mall of Africa in Midrand, The Grove Mall in Pretoria, Gateway in Durban, Baywest Mall in Port Elizabeth and CapeGate in Cape Town. The other titles Tyler Perry’s Boo2: A Madea Halloween, Happy Death Day, Jigsaw, Flatliners, From A House on Willow Street, Mother! Amityville: The Awakening will be shown at Ster-Kinekor sites nationwide. If sitting through a chilling horror film is what you’re after, there are 54 more reasons to venture into the darkness. Fifty-four cinema lovers that watch at least three movies in the Ster-Kinekor Skarefest stand a chance to win a share of R55 000. To enter, watch any three of the films on Skarefest, SMS the keyword SKARE, your name, your three tickets numbers (and names of the movies) to 33007. Four winners will each win R5 000. If you win a prize and you’re an SK Club member, you will win an additional R5 000! 25 prize winners will each win 2x IMAX movie tickets and 25 prize winners will each win 2x CINE PRESTIGE movie tickets. Enter, if you dare. Entries opened on Saturday, 09 September at the IT sneak peaks at participation Ster-Kinekor sites.